I love doing my nails and making them look nice when I have the time. 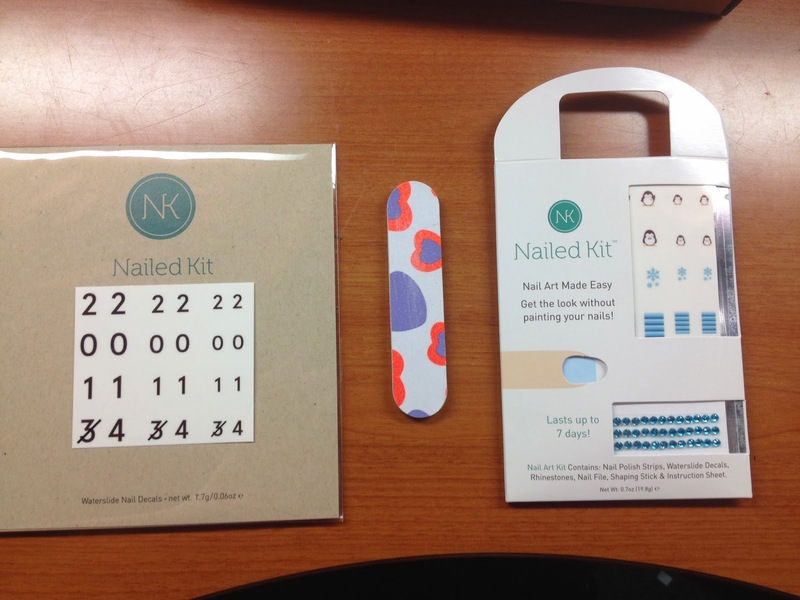 I recently discovered Nailed Kit, a brand that makes adding designs on your nails easier! You can buy kits individually or subscribe to their monthly subscription boxes for only $14 a month! You get a kit with a few different decal designs and a special item as well, that NailedKit adds on just for you. The set I was sent was meant to be for winter/New Years, but due to my being home during winter break, I wasn't able to get ahold of my package sooner! Nonetheless, the designs were still really cute and so I still tried them out. Better late than never, right? I mean, it is still winter, even if it is almost 90 degrees in Southern California. Anyway, Nailed Kit sent me the basic nail set with the base polish and the winter decals to choose from. On top of that, I received a cute nail file (which I desperately needed) and special New Years' decals! Each set comes with a base color (this kit was blue) that you can use as the base over some clear polish. You can also always just use regular nail polish and apply the decals over it. 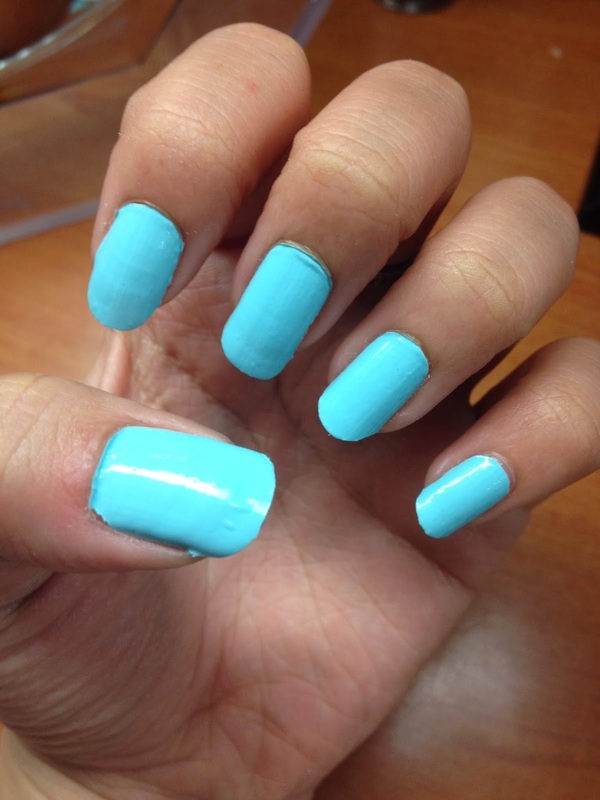 I wanted to try the color, but I didn't have clear polish, so I just applied the color directly to my nail. It stuck pretty well for the most part; shaping the edges of the sticker was a little difficult, but not too bad. 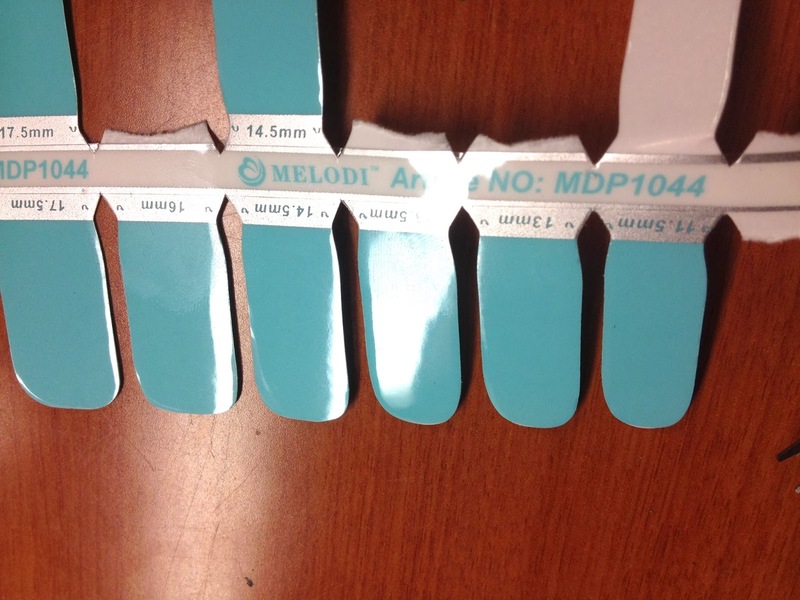 There are seven different sizes to ensure that the stickers will fit your nails, no matter how narrow or wide they are. And although they are technically stickers and I didn't use clear nail polish for them, they were pretty forgiving when I made a mistake. It was really easy to adjust and fix them, but that may also have been because I didn't have any clear coat. I did two different designs on my hands, simply because I wanted to see how all the decals looked on my hands! I really love how they turned out, with the exception that I could've trimmed the decals better (I was able to after taking this picture). 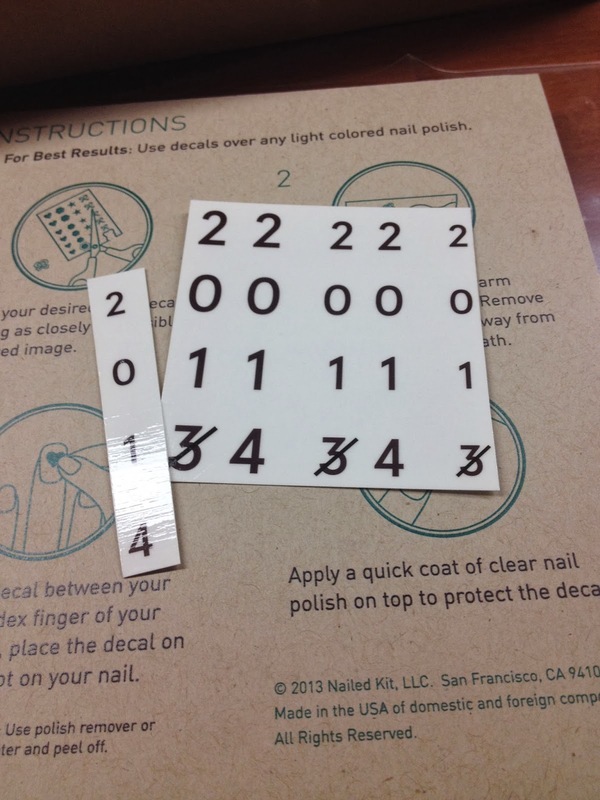 Each set of decals come with rhinestones that you can either use to decorate your nails or not. It's totally up to you. I thought they were cool and my nails looked like they were acrylics (but that's also cause of the length, haha)! Other than the troubles I had with applying the base color (although it was probably my fault for not using clear coat), I love this! 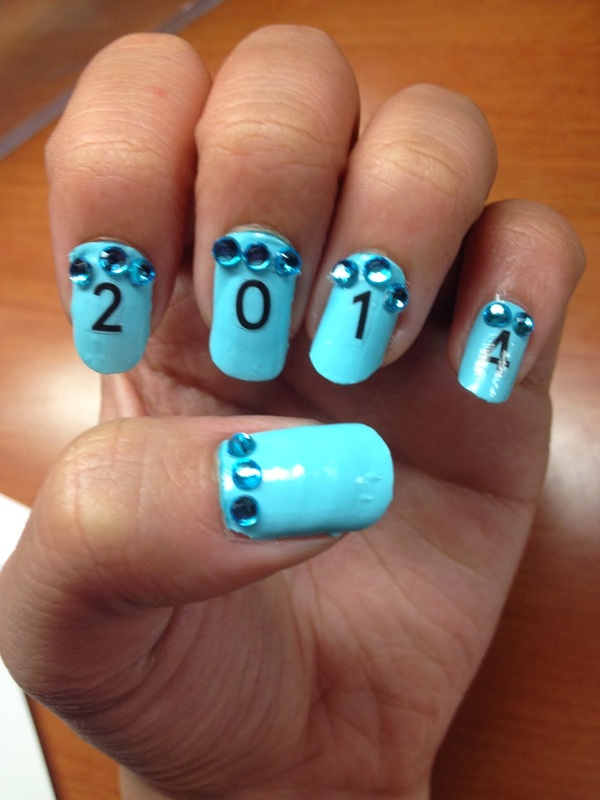 Don't be surprised if you see me with some awesome nails like this in the future! With that being said, I am hosting a giveaway! Nailed Kit recently released their Valentine's Day decals, just in time for Valentine's Day! If you subscribe to their monthly boxes before January 31st, you will receive the VDay kits next month! They are also available in their shop! They have so many other decals and kits available depending on your style! They're all so cute and simple, but they're also easy to apply. Did I also mention free shipping on everything if you're in the US? If you're international that's okay, it's only $5 for shipping no matter where you are! So what is the prize for this giveaway? Nailed Kit and I teamed up to giveaway these really cool heartbeat decals, just in time for Valentine's Day! If you win, all you have to do is use whatever nail polish you like, soak the desired decal in warm water for a few seconds, remove the paper backing and apply to the nail! It's that simple. 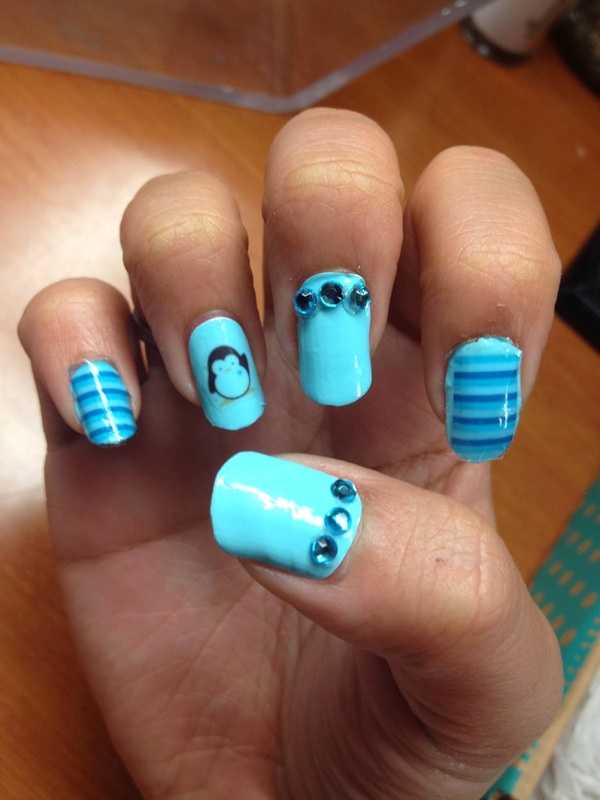 If you need some inspiration, this is how Bad Girl Nails did it! What are you waiting for? Just enter below! Good luck! Disclosure: All products above were courtesy of Nailed Kit. No financial compensation was received. All opinions are my own. It really is! I love it! What a cute idea! I've never heard of this company, but it's really cute! They started last year; you should definitely check them out! Thanks [: Hope you entered the giveaway! I am the same way! These are so cute and easy to use! Those decals are so cute! I love doing my nails up, too. Thanks! Yeah these decals make it so much easier for you! Hi Kriselle! This is Arsha from the SITS Tribe. 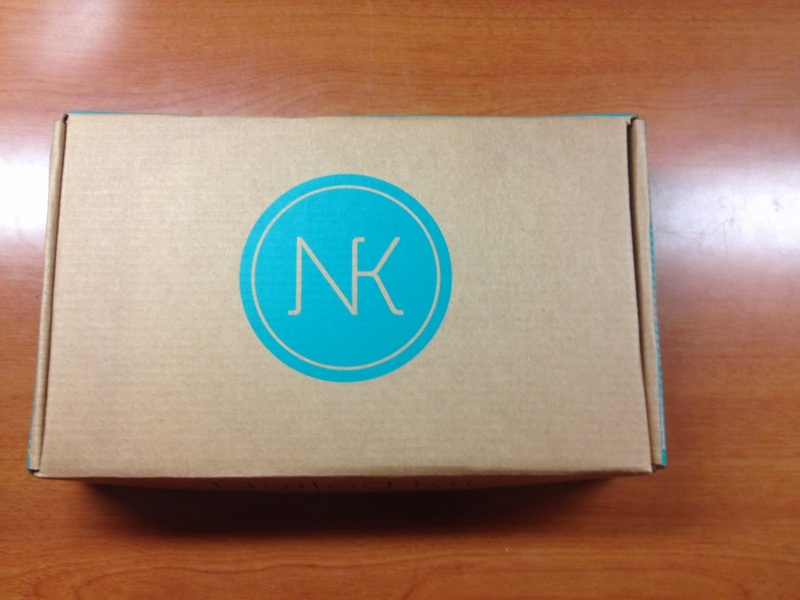 I love this box, I can easily see this being a great gift idea and the designs you created were very cute! I love that it has instructions for those of us who might not know what we're doing! Back to School with Office Depot! I Was Nominated for the Liebster Award! Feedback for a New Year!